Starting a new year is a funny thing. We all vow to change ourselves for the better. Claim that this is the year we’re going to try something new and exciting – take risks. Maybe we try and be kinder to those around us. Or aspire to live a healthier, active lifestyle. I say it’s funny because every new year that approaches we become obsessed with it all (myself included). But do we ever really stick to our resolutions for those 12 months? You may not want to hear this, but no, many of us don’t. We fall off the wagon and lose inspiration to stay on track. Discouraging, I know. Personally, I can count on all 10 fingers and toes how many times I haven’t stuck to a resolution. Reality of it is, life gets in the way. We become busy and tired and it’s much easier to lose that motivation rather than feed it. So what’s different about 2014? Nothing really haha. However, I’ve decided to take on the challenge of sticking to my resolutions. Not too sure what I was thinking when I decided to make multiple resolutions, seeing as I usually can’t keep up with one. I guess I just felt like I needed a positive change and this was the first step to accomplishing that. I thought my blog would be the perfect opportunity to update you all on my progress so far, in hopes to pass on a little inspiration to those who are feeling defeated. 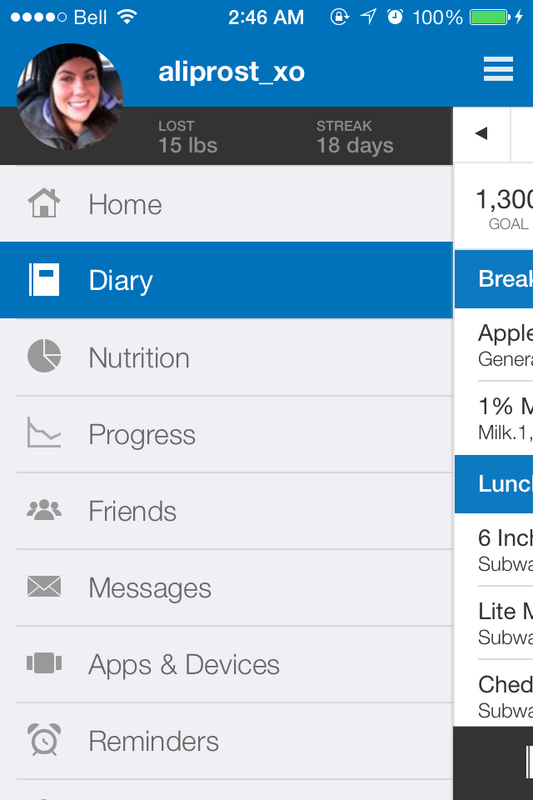 And, to kill two birds with one stone, by sharing with you all, it helps me stay accountable! Resolution #1: Try a new physical activity (long-term goal: to lose some weight and be healthier). I decided to try hot yoga. I had heard many great things about it so I said, why not? The week after new years eve, I dragged my boyfriend to a hot yoga class at Moksha Yoga in Milton and signed up for an intro month. Needless to say, I’ve been hooked ever since. Not only is it relaxing, but it strengthens and tones muscles I didn’t even know existed. If you’re looking for something new to try, I definitely recommend this. It may be a bit difficult at first, but it becomes easier over time (I promise). 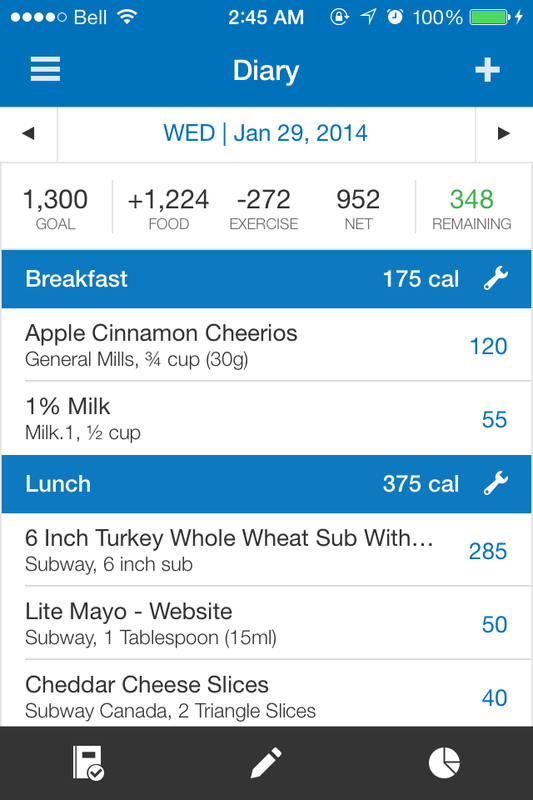 Along with hot yoga, I’ve been using a (free) app called My Fitness Pal to record what I’m eating on a daily basis. It just helps me monitor the things I’m having and keeps me motivated when I add in cardiovascular/strength activities. Here are some screen shots of what it looks like – As you can see, I’ve been good and have logged on for 18 consecutive days! 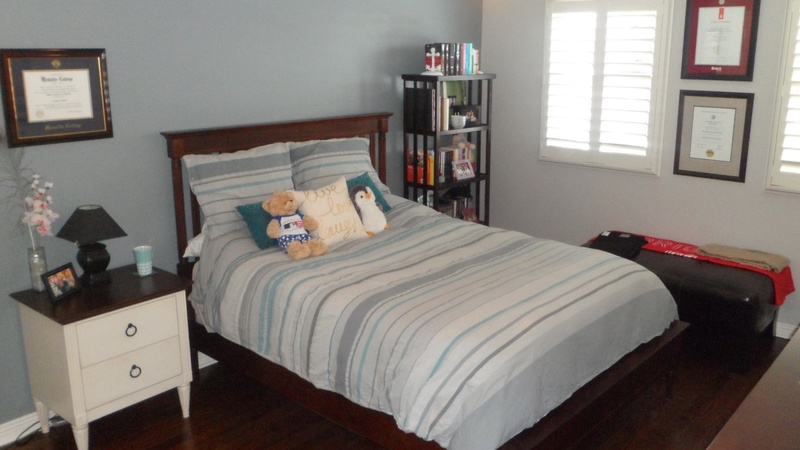 Resolution #2: Keep my room clean and tidy. I know what you’re thinking…Shouldn’t a 25 year old always keep their room clean and tidy? I’ll go ahead and answer for you….yes. However, being a working girl who likes to socialize from time to time, it’s difficult to always maintain that cleanliness. I’m not saying I’m a slob, but when I’m deciding what to wear, clothes usually end up everywhere (bed, ottoman, floor). By the time I actually figure out the perfect outfit, I don’t have time to make my bed because I’m in too much of a rush out the door. It’s a vicious cycle. But, that was the old me! The new me has been very diligent about keeping things in a neat, organized manner. Don’t you think? Resolution #3: Floss my teeth at least once a day, every day (my dentist will love me for this one). I obviously brush my teeth, but I’ve never been big on flossing. I had braces, so trying to get that silly threader underneath my bracket is always a tedious task. It was laziness really. So, I decided this was the year I was going to make a conscious effort to floss once a day, every day. So far I’ve been really good about it. And I’ll have you all know, my dentist applauded me on finally listening to him after all these years! Hopefully I can keep it up. There you have it. New year. New me. (And new blog theme). 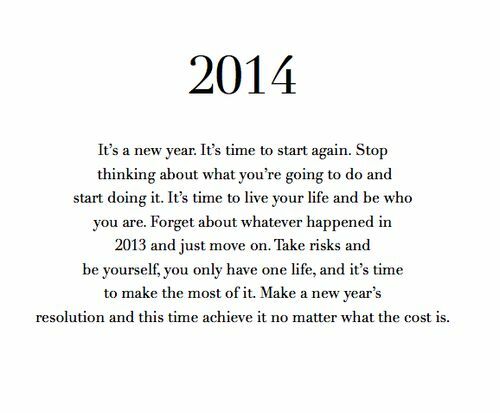 This too, is your year to stick to it. Another chance for us to get it right. What are your resolutions? Ali has read 5 books toward her goal of 12 books.